Our family trip to Ukraine in 2011 was very memorable. Here are few shots from our travel. 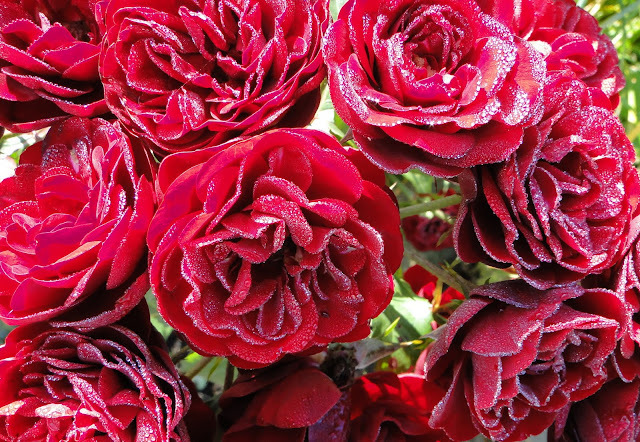 Beautiful roses in dewdrops! And here is the story. One day we were staying in Karpatski Rosy Lodge in the city of Verkhovyna. Verkhovyna is a centre of the Verkhovyna district, Ivano-Frankivsk oblast' (Carpathian Mountains). Early in the morning, when we were checked out from the lodge, I decided to take few pictures around. I couldn't resist getting photos of some amazing roses in the lodge garden. 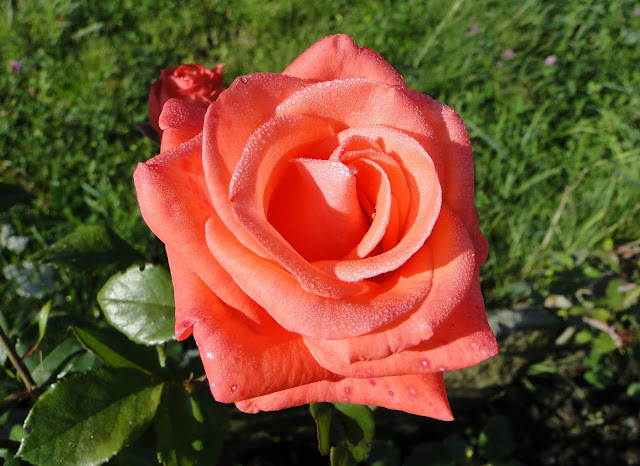 The roses were all covered in morning dewdrops. Then, I realized, that a name of the lodge "Karpatski Rosy" means "Carpathians Dewdrops" in English. What a cute coincidence, isn’t? Well, maybe that’s why the lodge name after these nature’s diamonds?